There’s only five days left to cram in as much Christmas spirit as possible—cookies, carols, Cousin Eddie’s eggnog… and now, The Gnu’s Room Christmas album. The just-released, 7-track album features classic Christmas songs covered by local bands such as Adventure the Great, Ellington Way and Tea Cup and the Monster. The idea for a Gnu’s Christmas album began back in September, and once Jake Carnley of Tea Cup and the Monster began organizing local bands to participate, Scott Waters of WEGL 91.1 offered the studio for the recording. “(The bands) took it a little further and made it a type of fundraiser for us since we’re a non-profit organization,” said Tina Tatum, owner of The Gnu’s Room. Although they originally hoped to raise enough money to create hard copies of the music, the bands took what money they did raise to record the music, which is now available for a free download here. 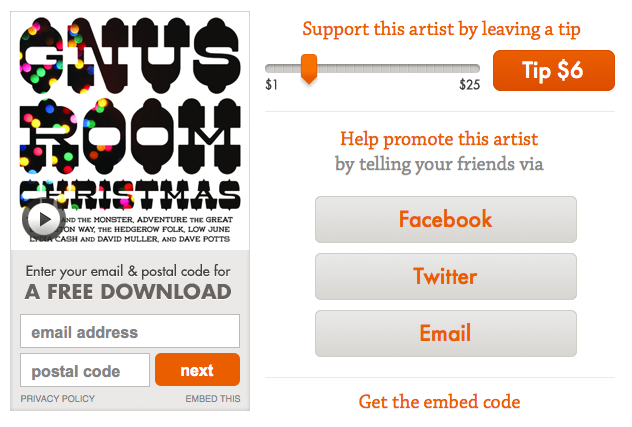 There’s also an option to leave a donation, which will fully go toward supporting The Gnu’s Room and its upcoming performance projects. “One of my frustrations is that I really wish we could get more people to turn out for live music,” Tatum said. With the help Jason Crane, the new assistant director for the non-profit, Acoustic Tuesdays have just begun for local artists to showcase their talent on a set night, so Auburn folks “will hopefully think, ‘Oh, it’s Tuesday, and there’s music at The Gnu’s Room,'” Tatum said. The Gnu’s Room currently holds a variety-based open mic night the first Friday of every month, but in order to draw another crowd, Crane suggested starting an open mic night “where there is one featured poet with other poets who will also come and read,” Tatum said. The open mic night for featured poets will occur the third Thursday of every month beginning in January, and according to Tatum, Crane already has 2013 booked. For a list of upcoming events at The Gnu’s Room, visit thegnusroom.com/music or thegnusroom.com/readings.